Elie Dawang was born to Lithuanian parents in 1934 in Paris, France. His father, Felix had a radio manufacturing business and his mother, Sonia was a housewife. After the German occupation of France in May 1940, the Dawangs left Paris for a small village near the Spanish border. However, they returned to Paris at the beginning of 1941 to liquidate the family business. They were arrested by the Paris Police for carrying false identity papers. Felix managed to get Elie out of prison and hide him with a young Jewish woman named Genia. However, Elie’s parents were sent to Auschwitz. Felix was deported in 1942 in the first convoy from France to Auschwitz. Out of approximately 1,100 men in the convoy, an estimated 15 returned, including Elie’s father. He was freed by the American army in Dachau the last days of the war in April 1945. 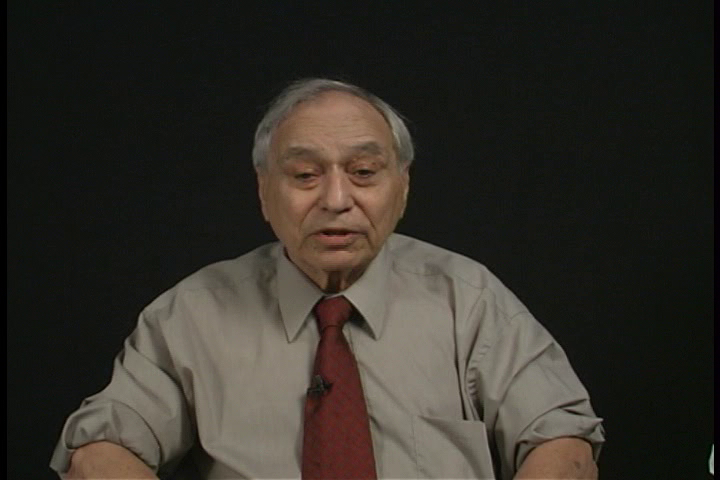 Elie’s mother was sent to Auschwitz in February 1943, and was gassed upon arrival. Genia and Elie narrowly escaped arrest during the Vel d’Hiv roundup in July 1942. They hid in a suburb of Paris until the spring of 1943. They then moved to a small village, Chemiré-le-Gaudin, 200 kilometers from Paris. They stayed there until the liberation of Paris. In September 1944, they moved back to the capital. Elie reunited with his father, the only other survivor of his extended family, in May 1945. They immigrated to Canada in 1951, and settled in Montreal. Elie got married in Montreal and has two children and several grandchildren. Today, he is a volunteer speaker at the Montreal Holocaust Museum, where he shares his story with school groups and the general public.